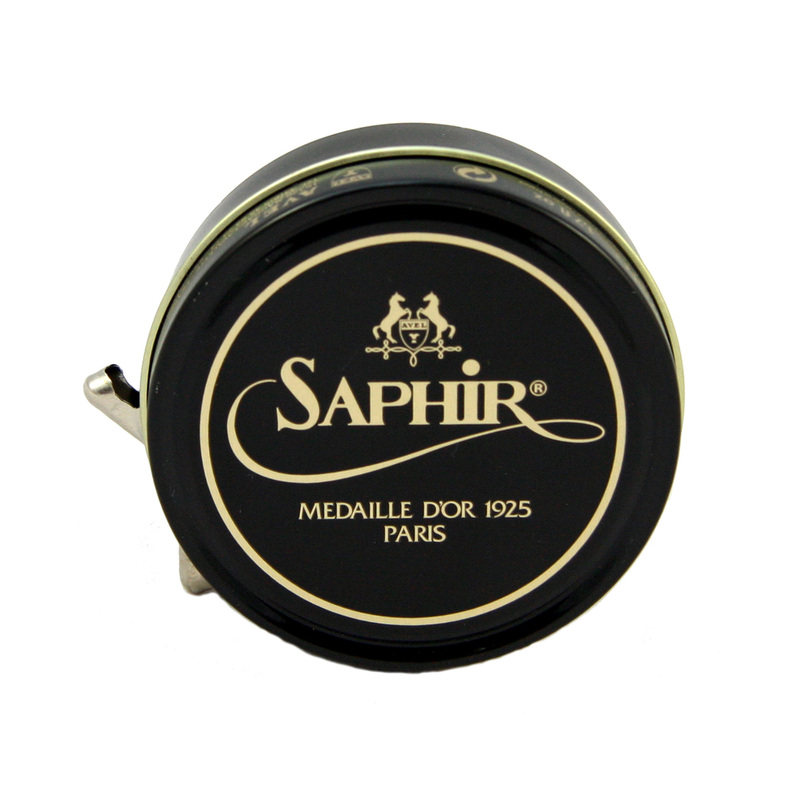 The Pate de Luxe Saphir Médaille d'Or shoe polish is specially made for the care of your most valuable shoes. Its complex formula permits to achieve glazing quickly. 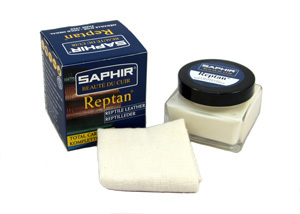 It contains 7 different qualities of waxes: animal (beeswax), vegetable (carnauba wax), each with a specific technical property: to nourish, soften, add shine, protect, and impart a nice smell. 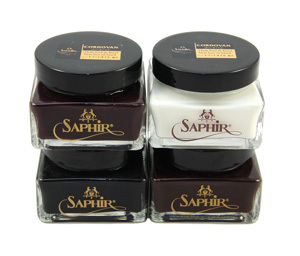 The pigments have been selected for their qualities of colouring, penetration, and transparency to obtain incomparable sheen. 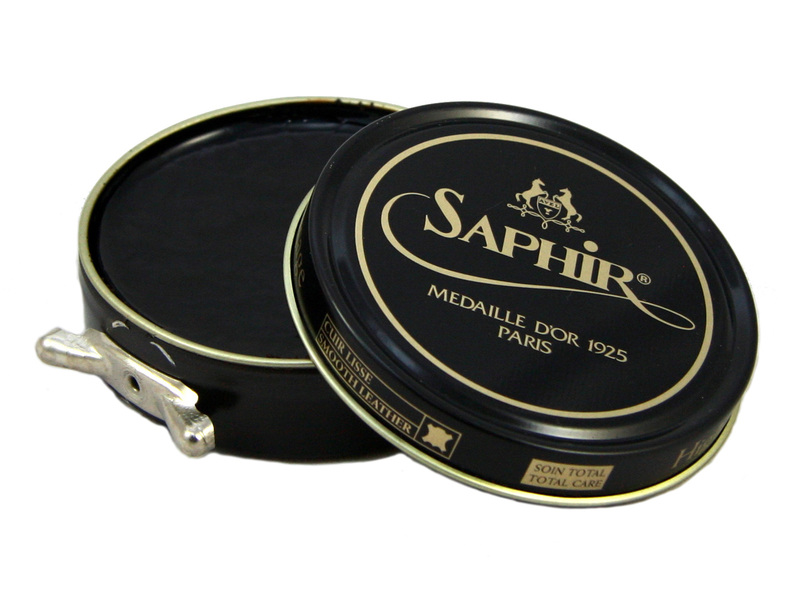 The Saphir Pate de luxe is best applied after the Saphir Pommadier cream. 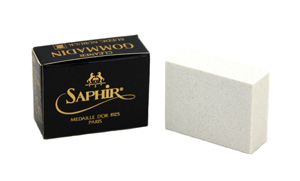 Apply with a Saphir Large Applicator Brush - white - boar bristle for an even coat of Saphir Pate De luxe. 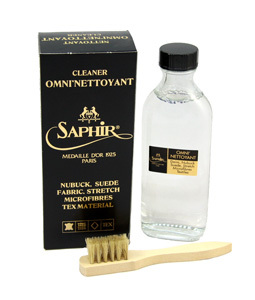 To give your shoes a glass polish on the toe cap and heel, use the Saphir Chamois Cotton Cloth wrapped tightly around your finger to apply the wax. Get a bit of wax and water and apply in concentric circles.